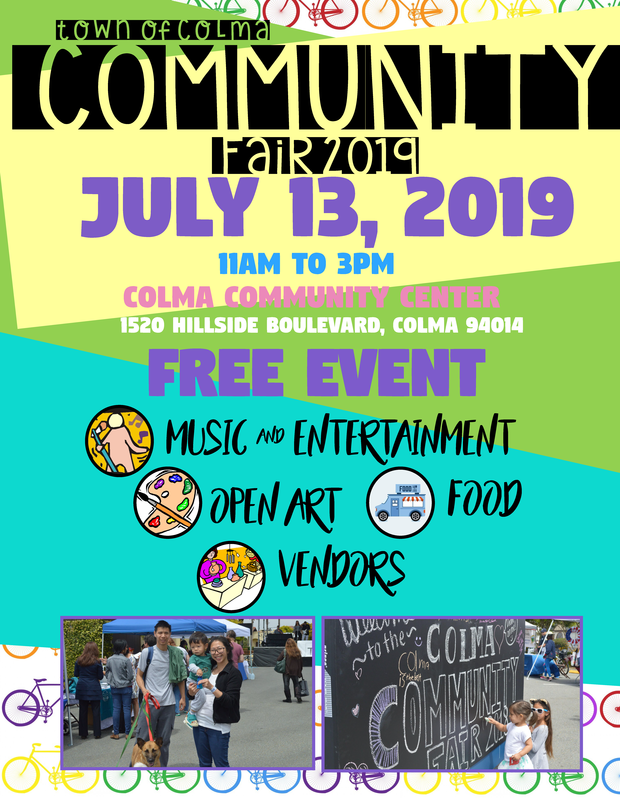 Join us for our 3rd annual Colma Community Fair! Enjoy music, arts & crafts and food. We will host craft vendors, local businesses, food vendors and have activities for all! Call us at 650-985-5678 for more information! For vendor questions please contact Liz Tapia at liz.tapia@colma.ca.gov or call 650-985-5691.